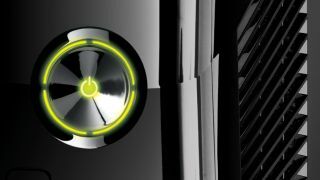 Microsoft has assured Xbox 360 owners and potential buyers there's plenty of life in the old dog yet, despite the forthcoming launch of the new Xbox One console later this year. Corporate VP of Microsoft Studios Phil Spencer said the company is committed to the Xbox 360 for "years" to come, contrary to the quick leap from the original Xbox to the Xbox 360, which left some gamers miffed. Spencer told the Official Xbox Magazine UK support for the 8-year old console, which appeared in a new, more compact guise at E3, in the form of new software and platform updates remained as strong as ever. He said there had never been a better time to jump on board with the console and the launch of the Xbox One shouldn't dissuade gamers from buying a 360 or adding to their existing games library. When asked how much longer the device will be supported, Spencer said: "Years. Last generation was different for us, we moved pretty quickly. This time, you will see us staying committed to the Xbox 360. I think it's a great platform. "In certain areas, like trying to switch apps quickly, it shows that it was built in a different era, but in terms of the price point, the content library - I don't have the stats, but I bet it's the largest content library ever created in the history of the game space. "So it's a great time even now to get into the Xbox 360 ecosystem. It's something we'll remain committed to on the content side as well as the platform itself." Microsoft will hope it can replicate the success enjoyed by the Sony PS2 for many years after following launch of the PlayStation 3 in 2006. Developers have continued to launch top-level titles for the 13-year old device, even after Sony announced its retirement in January this year. Indeed, despite ditching the six-month old Nintendo Wii U, EA Sports will still release FIFA 14 for the PS2. Will we still be talking about Xbox 360 games in 2020? Let us know your thoughts in the comments section below. Looking for a new reason to be narked about the Xbox One, despite Microsoft's recent backtracking? Your wish is our command.